MINNEAPOLIS, MN, June 30, 2012 — Bill Dahlen has been selected the Overlooked 19th Century Baseball Legend for 2012 by the Nineteenth Century Committee of the Society for American Baseball Research (SABR). 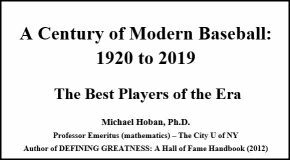 The announcement was made today, at the Nineteenth Century Committee’s annual business meeting being held at SABR’s 42nd Annual Convention. William Frederick Dahlen was born on January 5, 1870 in Nelliston, New York, a small village about 23 miles northeast of Cooperstown. He would grow up to play in 21 major league seasons and become one of baseball’s great all-around shortstops. Cap Anson of the National League’s Chicago franchise signed Bill Dahlen for the 1891 season. Dahlen quickly made a positive impression on the Chicago fans with his offensive prowess, outstanding fielding and scientific base running. His most outstanding season was 1894 when he batted .359 with an on-base percentage of .455 and a slugging percentage of .566, all career highs. He also had career highs in runs scored (150), hits (182), homers (15) and RBI (108) while also hitting 14 triples and stealing 43 bases. The highlight of his season was a major league record 42-game hitting streak from June 20 through August 6, followed immediately by a new 28-game hitting streak, thus getting a hit in 70 of 71 games. The 42-game streak would be broken by Willie Keeler in 1897, but still ranks fourth all-time. The 1895 campaign was his first season playing primarily at shortstop. In his prior seasons, he had split time at third base, shortstop, second base and the outfield positions. When he finished his playing career, he was the all-time leader in games played at shortstop with 2,133, currently ranked eleventh. He also was the career leader at shortstop in putouts with 4,856 (currently second) and assists with 7,505 (currently fourth). He was also the first player with 8,000 career assists at all positions with 8,138 (currently fourth). After his days in Chicago, he helped lead Brooklyn to two NL championships in 1899 and 1900. A few years later he was traded to the John McGraw-led New York Giants. McGraw called it the “most successful deal I ever made”. McGraw now had both the great defensive shortstop he wanted to sure-up his infield defense and an offensive shortstop that could drive in runs. Dahlen was the 1904 National League RBI champ. The Giants went on to win the NL championships in both 1904 and 1905. The Giants won an incredible 211 games and lost just 95 in those two seasons for a .690 winning percentage. In the 1905 World Series, the Giants defeated the Philadelphia Athletics in five games. He played with Boston of the NL in 1908 and 1909. In 1910, he became Brooklyn’s manger which lasted through the 1913 season. He played in three games in 1910 and one game in 1911. His career offensive numbers include 1,590 runs, 2,461 hits, 413 doubles, 163 triples, 84 home runs, 1,234 RBI, 548 stolen bases and 140 hit by pitches. 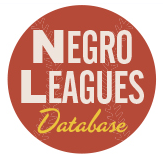 His 84 homers do not seem like a lot but five times he finished in the top seven in home runs and when he retired, only Herman Long had more homers as a shortstop. 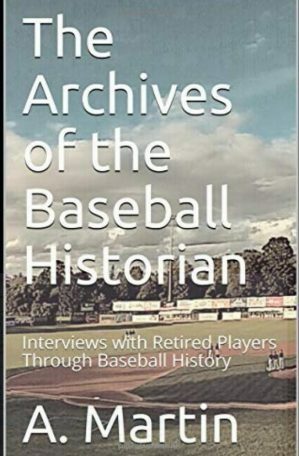 His 2,444 games played at the time of his retirement was a major league record if you don’t consider the National Association a major league and Cap Anson’s 247 NA games played. After his playing and managing days, Dahlen walked off into obscurity. Dahlen died on December 5, 1950 at Kings County Hospital in Brooklyn, New York. He is buried in Brooklyn’s Evergreen Cemetery in an unmarked grave. 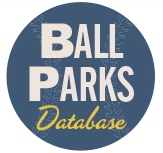 From May 16 through May 30 of this year, 115 members of the Nineteenth Century Committee submitted their votes for the 2012 Overlooked 19th Century Base Ball Legend – a 19th century player, manager, executive or other baseball personality not yet inducted into the National Baseball Hall of Fame in Cooperstown, New York. Previous Overlooked Legends were Pete Browning in 2009, Deacon White in 2010 and Harry Stovey in 2011. Spatz, Lyle. Bad Bill Dahlen: The Rollicking Life and Times of an Early Baseball Star. North Carolina: McFarland & Company, 2004.